US-backed Syrian Democratic Forces say they have “totally eliminated” Islamic State in Syria. 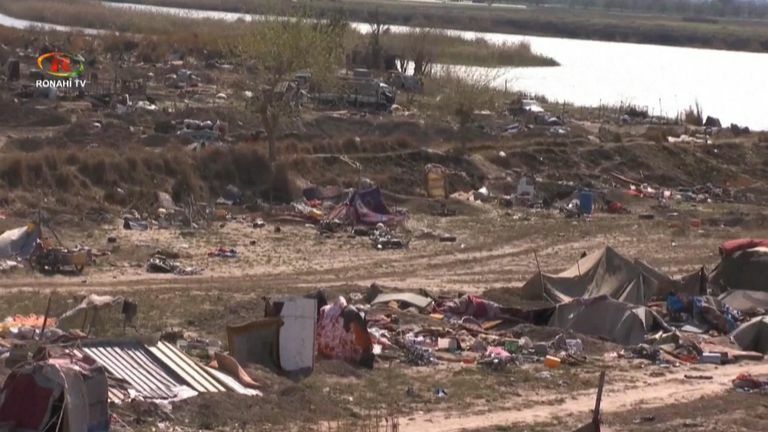 It has been battling the last IS remnants in the border town near Iraq for weeks as the jihadists have been using civilians as human shields. The Kurdish-led Syrian Democratic Forces have now claimed “all territory in Syria is now clear of IS fighters”. SDF spokesman Mustafa Bali tweeted: “Syrian Democratic Forces declare total elimination of so-called caliphate and 100% territorial defeat of ISIS. At its height, the militant group’s caliphate, which it declared in 2014, stretched across a third of Syria and Iraq. However, despite the SDF’s victory, IS insurgents still remain a threat. Some are hiding out in Syria’s remote central desert, and in Iraqi cities they have gone underground, carrying out shootings and kidnappings. The US believes the group’s leader Abu Bakr al Baghdadi, who declared the caliphate five years ago in Mosul, is in Iraq. On Friday, US President Donald Trump said IS insurgents no longer controlled any territory in Syria, though the US was still launching airstrikes and sporadic fighting continued on the ground. 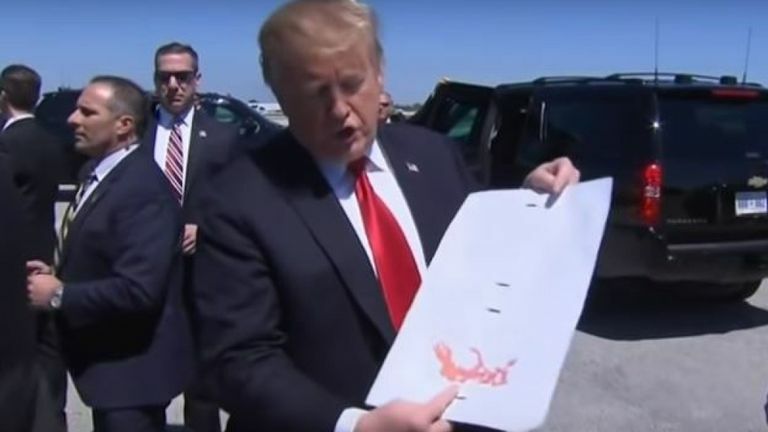 “It’s about time,” Mr Trump told reporters, as he held up maps indicating the large territory once held by IS had shrunk to nothing. “Here’s ISIS on election day,” he said, pointing to a swathe of red showing the areas the insurgent group controlled when he became president. He then pointed to a version without any red, and said “here’s ISIS right now”, as he linked SDF gains to his time in power. 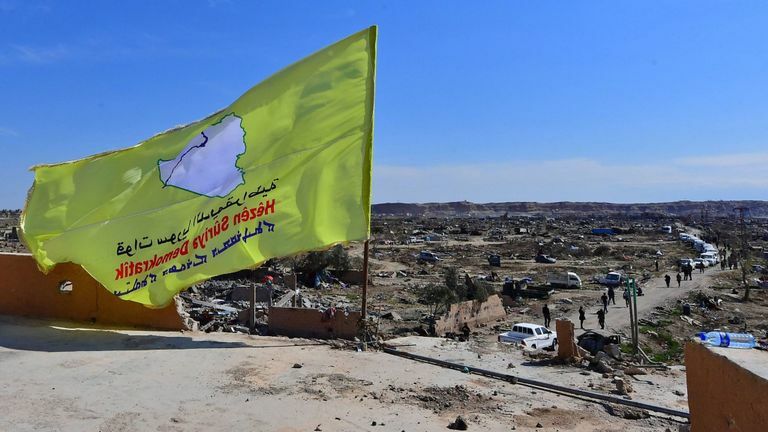 As we came into Baghouz, we knew there was going to be this monumental announcement but as the convoy winded its way through the dusty streets we heard the sound of sporadic gunfire. There had been a fairly heavy bombardment by coalition forces and the SDF overnight and the convoy was quickly turned around. We got out and did some filming and what we filmed was the last pockets of Islamic State fighters being defeated. We then left the town for about 10-15 minutes and then they brought us back in again through a tented encampment on the edge of the Euphrates River. This is where the Islamic State ended up effectively, being corralled through Iraq and Syria after the collapse of their de-facto capitals in Raqqa and Mosul. The reason they stayed in this tented encampment is that they couldn’t stay inside any of the buildings because all of those would get pounded by the jets. I am standing in the middle of encampment. 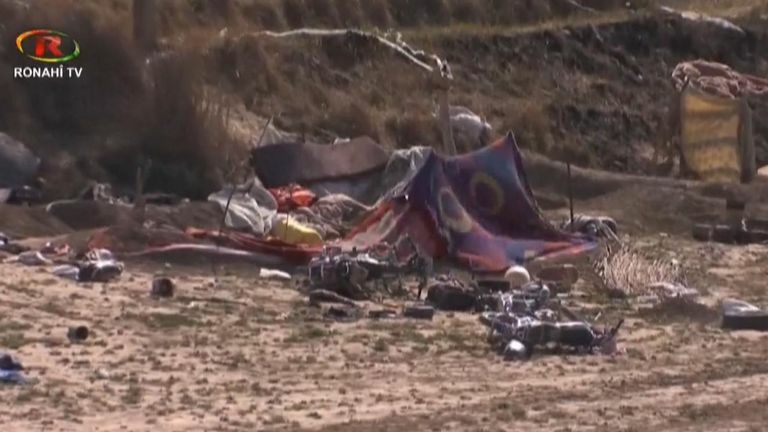 There are bedsheets, bits of carpets, blankets that have been erected as tents. Those tents are above foxholes or tunnels. This is where the fighters and their families have been living. The ground is awash with spent ammunition. I also see what looks like makeshift intravenous drips. There are empty cans of food everywhere. Lots of bits of broken junk. Motorbikes, bicycles. Lots of bits of car parts. And this is effectively where it tried to make its last stand. It really is just a junkyard. An apocalyptic wasteland in the middle of nowhere.